The norovirus (stomach flu) can really put a damper on Thanksgiving, Christmas and the holiday season, so the best way to avoid it is through prevention methods. The norovirus can occur at any time of the year, but the most outbreaks tend to occur in the winter months – especially around Thanksgiving and Christmas. The Centers for Disease Control and Prevention (CDC) report that due to the norovirus 19 to 21 million Americans will experience stomach and/or intestinal inflammation, 1.7 to 1.9 million will be outpatients from hospitals and 56,000 to 71,000 hospitalizations occur predominately in children and seniors. What is norovirus (Norwalk virus)? The norovirus is a highly contagious virus that can come from an infected person, contaminated food or water, or from contaminated surfaces. 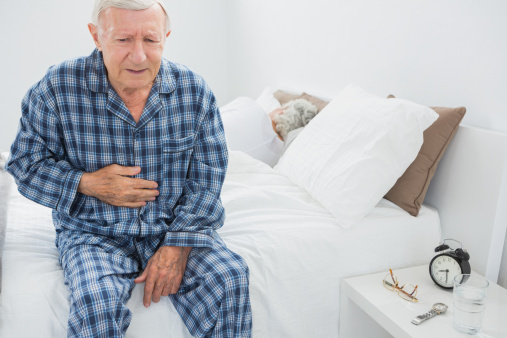 Stomach and intestinal inflammation can occur, which leads to pain, nausea, diarrhea and vomiting. Norovirus can also be referred to as the winter vomiting bug because cases of it increase in the winter months. There are at least 25 different strains of the norovirus that can infect human. Unfortunately there is no specific cure for norovirus, and it must simply run its course. It can be fatal in children and seniors, so it’s important that they receive treatment right away. Norovirus was originally called Norwalk virus, named after the town of Norwalk in Ohio where the virus was first confirmed back in 1972. 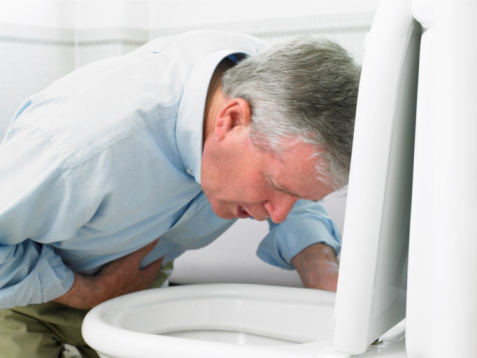 Norovirus can also be called food poisoning because transmission can occur through contaminated food and water. Lastly, norovirus may be referred to as the stomach flu, but there are no strains of influenza in norovirus. Humans are the only beings that can contract the norovirus. A person becomes infected with the norovirus by consuming contaminated food or water, touching a contaminated surface or being in contact with a person who has the virus. Norovirus commonly thrives on cruise ships, in nursing homes and other areas where people live in close quarters. Furthermore, the norovirus can survive in extreme temperatures – both hot and cold. Symptoms of norovirus can last a few days in healthy individuals but can become progressively worse in children, seniors and those with a compromised immune system. Severe dehydration can occur, along with malnutrition and in some cases even death. There have been some reports that norovirus can lead to long-term complications, such as chronic diarrhea, post-infectious irritable bowel syndrome, and necrotizing enterocolitis, but more research needs to be collected to confirm such claims. Prevention of norovirus is possible, so you don’t need to let it ruin the upcoming holiday season. If you follow these tips, you can ensure a healthy holiday season and a healthy winter season as well. Always wash your hands, especially after using the bathroom, touching raw meat, touching surfaces like hand rails, and prior to eating or preparing food. Use alcohol-based hand sanitizers if soap and water isn’t readily available. Keep sick children and seniors away from food that is being prepared or handled. If you are sick, do not prepare or handle food. Clean and disinfect surfaces, especially toilets, where vomit or diarrhea have occurred; the norovirus can survive on toilet surfaces for up to two days. Wash laundry thoroughly, and if laundry is soiled wash immediately. Although there is no cure of the norovirus, there are treatments available to help aid in recovery and minimize symptoms. Treatment can begin by keeping yourself well-hydrated and drinking plenty of water; vomiting and diarrhea can rid yourself of water and cause dehydration. It may be a good idea to have a sports drink as well to restore electrolytes if you can’t keep food down. Symptoms of dehydration include dry mouth, dizziness, and a decrease in urination. Antibiotics cannot be used to treat norovirus because it is a virus and not bacteria. Therefore, it’s important to just allow it to run its course.